This album offers a fusion of sunshine pop, psychedelia and folk-rock filtered through the lens of indie rock, according to the band’s site. 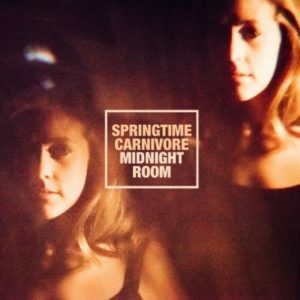 Springtime Carnivore is a one-woman project led by Greta Morgan. After one of the members of this group rose above the mental health problems he suffered, he and the group were able to put together a few albums, this being their latest. The band will be touring the US in celebration of the album. Courtesy of Emilee Atkinson, music director.